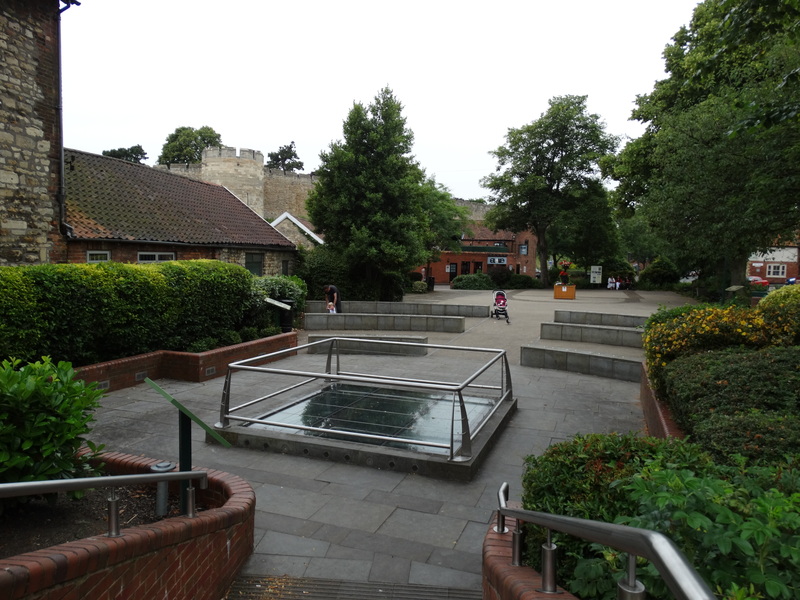 Lincoln is a Roman City. The Fosse Way (from the South West) meets the Ermine Street (from London) at the bottom of the hill. 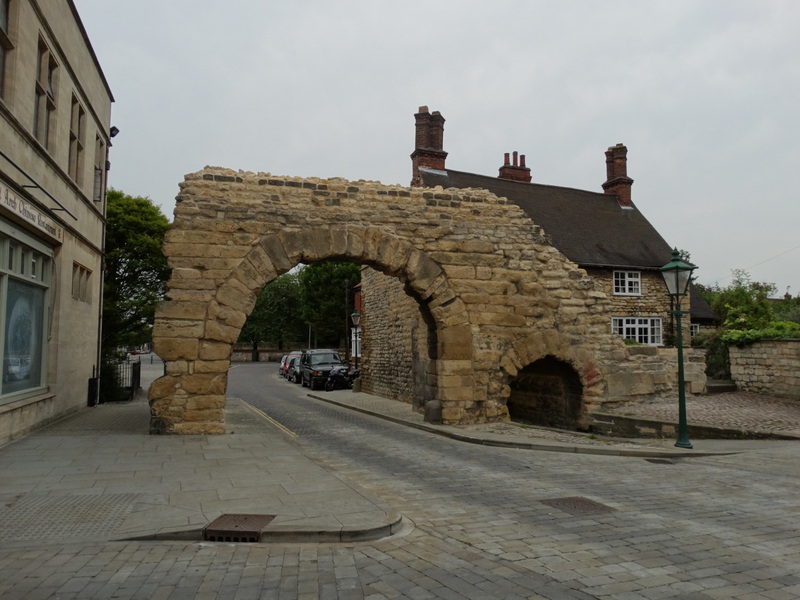 The Roman City was built on top of the hill – you can see the main gates, and the Ermine Street ran north through the Newport Arch and on to York. I love the fact you can still drive through a Roman Arch. In the Roman City is the Roman Forum, and the Mint Wall (the north wall of the Forum) still stands – the highest piece of Roman wall in England. 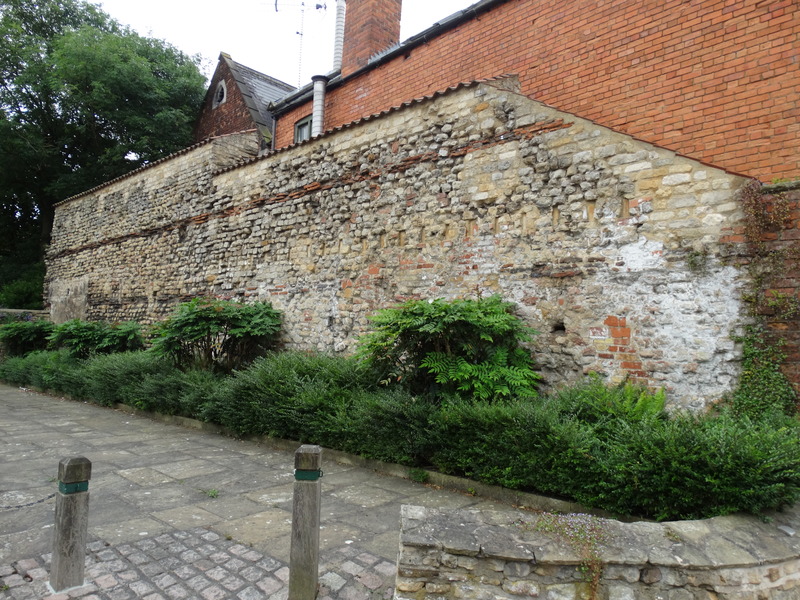 (We lived in the house almost next door for our three years in Lincoln – a few feet higher than Roman street level. We never saw a ghostly Roman, but people say they have …). 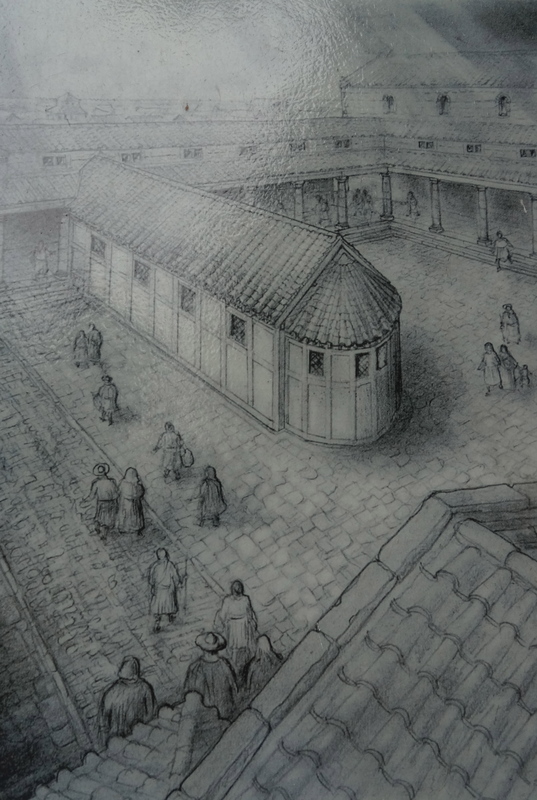 At the end of our lane, in the middle of the Forum, was the site of the church of St Paul in the Bail. Radiocarbon dating of burials on this site take the church back to the 5th-6th centuries. 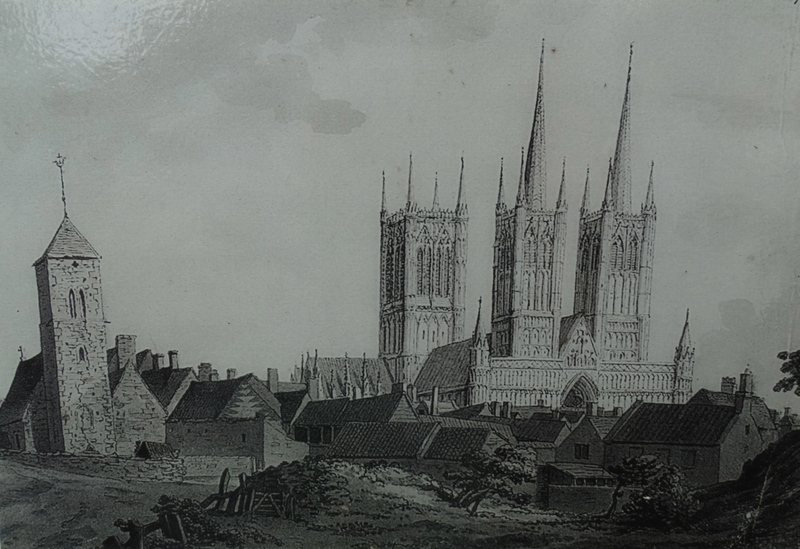 The original church may be a late Roman church, possibly belonging to the Roman bishop of Lincoln, or built soon after the end of Roman rule by a local ruler who wanted to be seen as the successor of the Roman governor, and therefore as a Christian. By the medieval period there were 50 churches in the town. Most of the church was rebuilt following a severe collapse in 1301. In 1786 a Georgian church was built on the site of the medieval Nave – it cost £54 10s. A bigger church was built here in 1877. It was demolished in 1971, and the parish was combined with St Mary Magdalene (which is next to the Cathedral). St Paulinus’s feast day is 10 October. 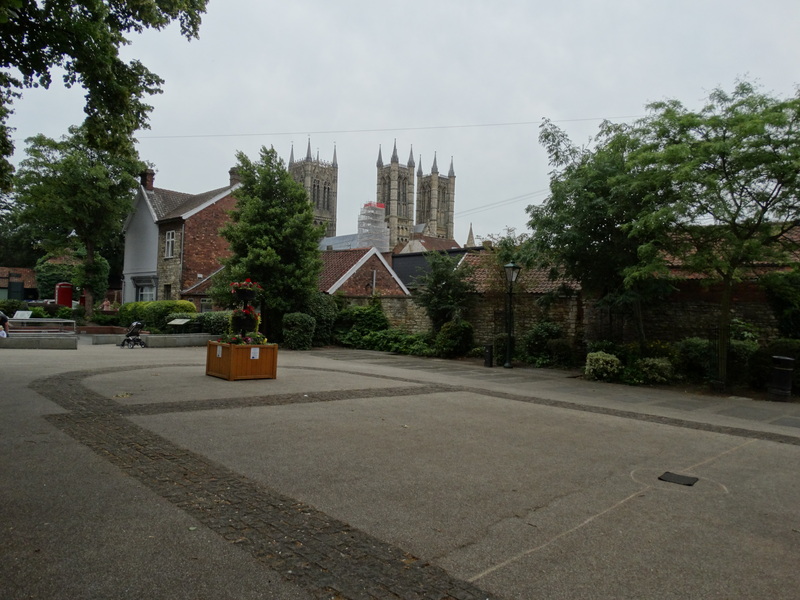 On the Wednesday nearest that date we students of Lincoln Theological College would have an open air service here. It started about 6 pm, and as we celebrated the Eucharist and gave thanks for Paulinus, the floodlighting came up on the Cathedral behind. There are stunning floodlit pictures on the www – have a look here. Happy memories – rather fitting this is blog post 150! 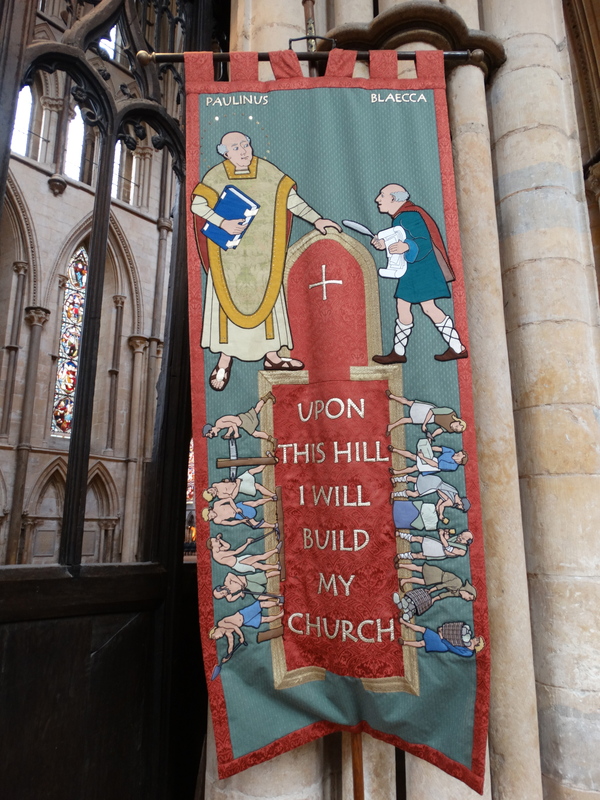 This banner is in the Cathedral. This entry was posted in Lincolnshire, Outside Northumberland, Personal. Bookmark the permalink. I can’t believe this! I’m reading the novel Pillars of the Earth by Ken Follett, it’s historical fiction . I came across the name of this church & about fell off my chair! My maiden name is Bail, & I’ve never come across my last name before. I know it’s Welsh, @least that’s what I was told. My father & I have searched for a coat of arms, i even searched for one while I was n England, but couldn’t find anything. But that was back n 1991, way before Google! Maybe it’s time to search again! Thank u for ur blog, & esp the pics! The 3rd pic gave me an eerie feeling of familiarity, I’m not sure why though, could be all n my head. I spent most of my time n London, now I’m anxious to go back & explore this site! I read u were a theological student, I’m also a Bible school grad. As well as my husband Tim. We attended a very small school n Los Angeles, it’s part of Global University, which is affiliated with the Assembly of God’s church. Thank u again for this & the floodlite pics were amazing! It’s sad my namesake church was demolished, but it’s strange it happened n 1971…The year I was born. I know, it’s just a coincidence. God bless my friend! This was a very interesting blog site. You have done a good job with lots of interesting historical information. As a avid reader of Roman history, this was great! Glad you enjoyed it. Have you followed me along Hadrian’s Wall yet?